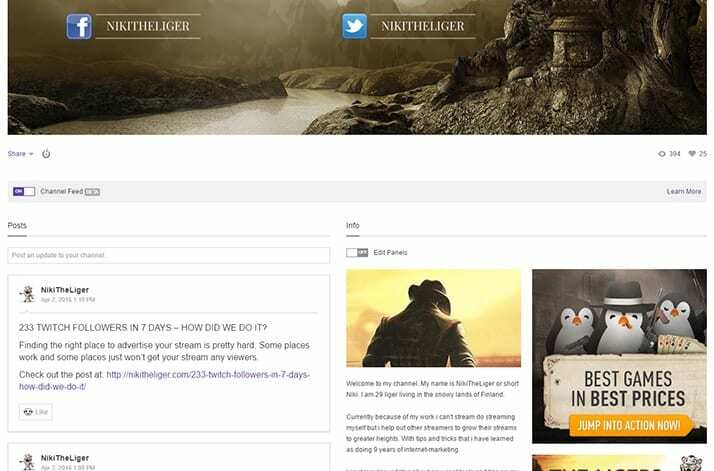 Home Streaming Guides Twitch Marketing Social Media For Twitch Streamers Twitch Channel Feed – What Can you do with it? 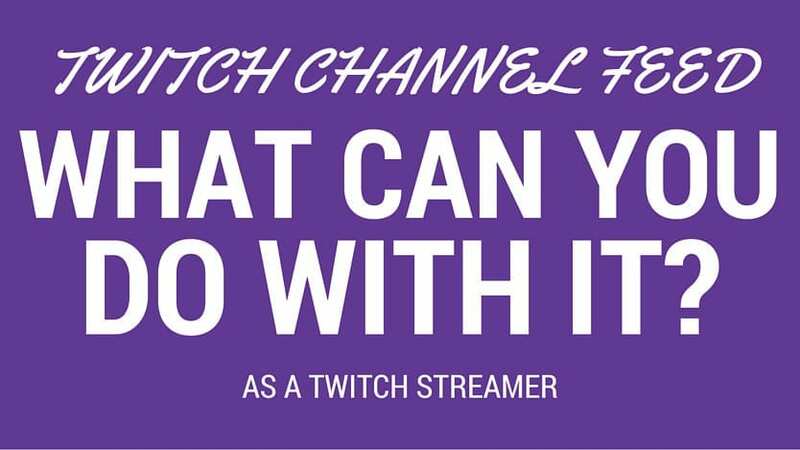 Twitch Channel Feed – What Can you do with it? Have you heard about twitch channel feed beta yet? If you go to your profile you can see a slider that you need to click to enable this feature. We’re excited to bring you a new feature that makes Twitch even more social. Introducing the Channel Feed, a new section on your channel page that lets you easily post and distribute content and news to your entire audience, all in one place. And starting now, YOU are eligible to join the beta and start posting! So how as a streamer can you use Channel Feed for the fullest? As you may already know that when you grow bigger you have many different kinds of people watching your stream. Some like to use Twitter, others use Facebook, Some are on Steam all the time and others are in Instagram sharing their love. But what about your Twitch stream page that usually comes up for everyone that Google your brand name? Channel Feed is pretty much perfect way for you to promote all your content. It can be a product that you are selling, video that you made for YouTube or even a funny picture that you uploaded to Twitter / Instagram / Facebook or change in streaming schedule. Now you can easily share information about the most important things straight from your Twitch site and drive traffic with easily copy/pasted links. In Channel Feed Beta you can authorize the app to post every update you do in Twitch to your Twitter feed. You can also take this a step further and let the post go to Facebook automatically! Kinda like Hootsuite does for many Social Media platforms. You can enable the posting to Facebook from your Twitter settings > Apps > Facebook > Choose the page you want to post > Done. Now all your Tweet will also go to Facebook. How do i use it to promote content? As you may already know, i turned my blog and stream purely for blogging about all the new cool things in the streamer world. So important thing for me is to promote is the blog content. I already activated the Twitch Channel Feed and setup clickable links that lead straight to this site. There is some categories and there is some straight links that people have found interesting content. You can leave a comment here on the website and also comment on social media. If you would have anything to add for this tip let me know about it and i’ll promise to check it out.